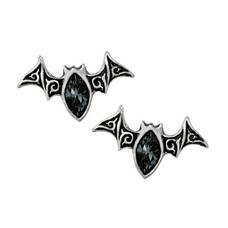 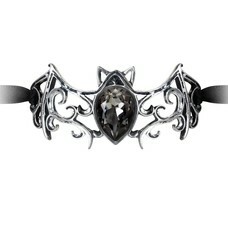 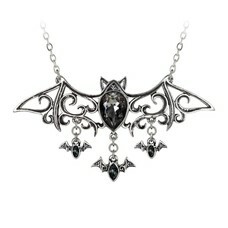 A pewter bracelet in the form of an open, abstract, Baroque style bat with the body of a black diamond Swarovski crystal and fastened by a 7mm black satin ribbon with sliding pewter toggle. 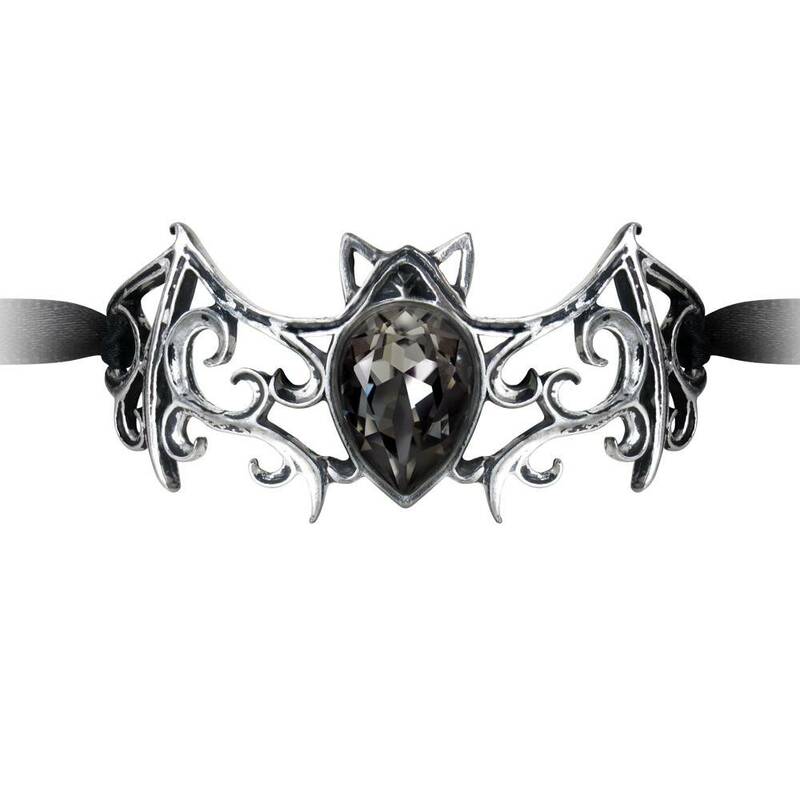 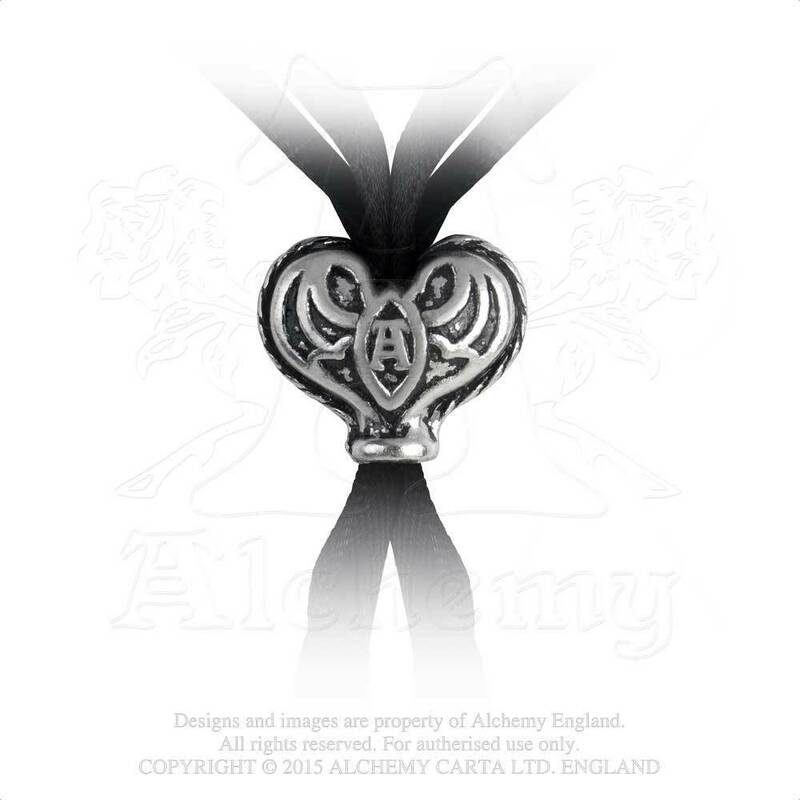 With a sparkling body of dark, cut crystal, the quintessential creature of the night, fashioned in opulent Renaissance scrollwork, defines the decadent streets of Europe's fabulous and most famous den of iniquity. 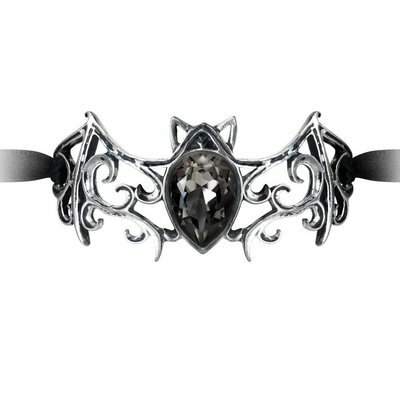 Approximate Dimensions: Width 1.18" x Height 2.63" x Depth 0.27"
Materials: Fine English Pewter with Swarovski Crystal and Satin Ribbon.